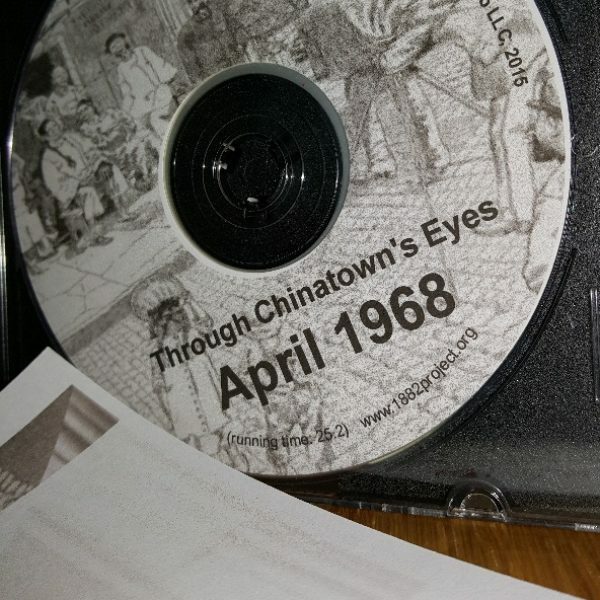 This month’s Talk Story began with a screening of A Brief Flight, a documentary about Hazel Lee. Lee was a Chinese American pilot who flew for the Women Airforce Service Pilots (WASP) during the Second World War. 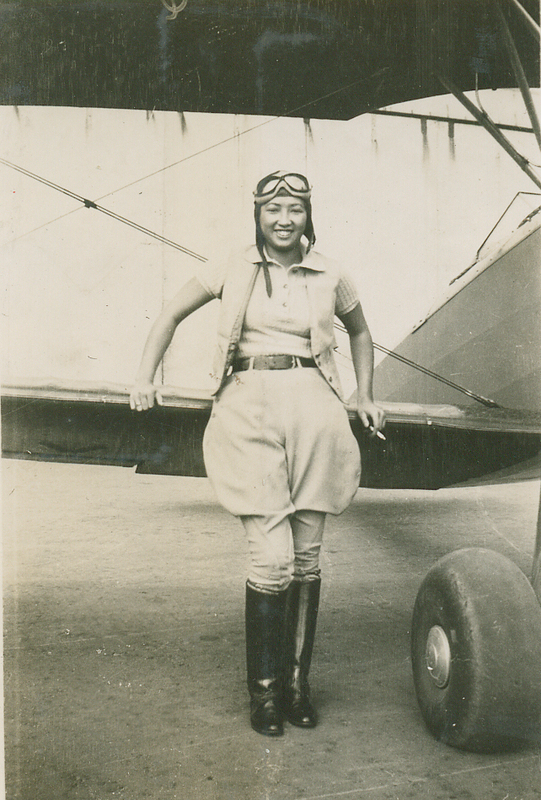 She had a passion for flying, and despite her parents’ opposition, became one of the first Chinese American women pilots of her time. After living in Canton from 1933-1937 and repeated unsuccessful bids to join the Chinese Air Force, Lee moved back to the U.S. After the attack on Pearl Harbor and the U.S.’s subsequent involvement in the war, Lee successfully joined the WASPs in 1943. Lee died in 1944 after sustaining burns when her plane collided during landing on a mission in Great Falls, Montana at the age of 32. The film itself includes footage and interviews from Hazel’s family and flying buddies. People who knew her described her as fearless and quick-thinking under stress. The film’s emphasis on WASPs also highlights the gender equality experienced by female veterans of World War II, who received no military benefits. Through her career in aviation, Lee defied contemporary stereotypes about Asian Americans and women, who were underrepresented in Lee’s time. 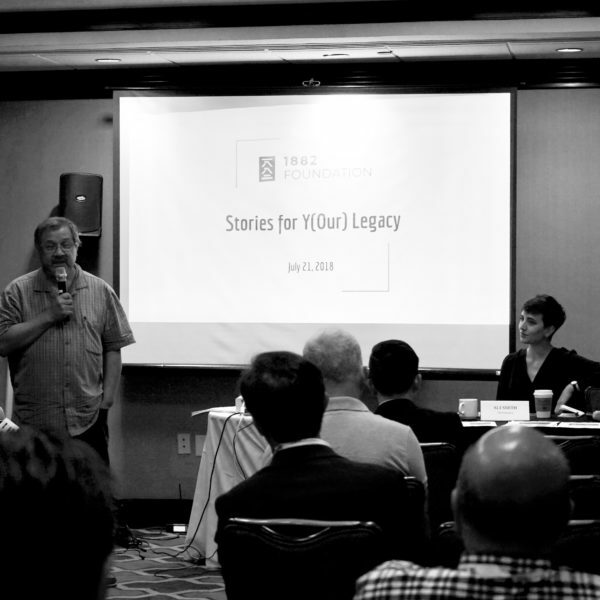 The film screening was followed by a discussion on the history of Chinese American women in the military, facilitated by Commander Evelyn Moy, U.S. Navy (ret). Moy asked the audience to raise their hands if they knew of any Asian American women currently serving in the military. Our group of about 40 people shared that they knew of three such women. Moy also shared that many people on the streets don’t recognize her as a veteran, even if she is wearing her decorations, and assume that she is borrowing honors from her husband. She highlighted these and other obstacles facing women in the military at large, but especially ones facing Asian American women. Moy then shared her story. She had received her college degree in graphic design and enlisted in the Navy, where she did graphic illustration at the Pentagon. After two years of service, she repeatedly applied for a commission, and in the meantime opened her own business before she finally became an officer. Moy described her thirty-one years of service as the “best decision” she ever made, noting that service people’s commitment to the mission meant that she didn’t experience discrimination for being an Asian American woman in her career the way that she had personally up until that point. She also pointed out that she didn’t see a lot of people who looked like her during her tenure in the military. Amy Li, a member of the Air Force, then briefly spoke about being an immigrant and arriving to the U.S. at age 13. She was the first in her family to attend college, where she received a BA in Biology and went on to nursing school. She ended up serving in the military for twenty years, half of which was spent in Germany in a career in intensive care. Moy ended the discussion by linking Yee’s story to her current effort to get a Congressional gold medal for the 20,000 Chinese American veterans of the Second World War. Although WASPs like Hazel Yee were recognized and granted military status in 1977, Moy and her team referenced Yee’s story when they lobbied Congress as an example of Asian American heroism. The Chinese American World War II Veteran Congressional Gold Medal Act (S. 1050) passed in the Senate on September 18, 2018 while the House resolution has received more than enough support and is slated to pass on November 27. The next step for Evelyn Moy’s congressional resolution is to verify the identities of Chinese American veterans of World War II, and she urged the audience to visit https://caww2.org to report any such veterans for verification while the medal is being designed. 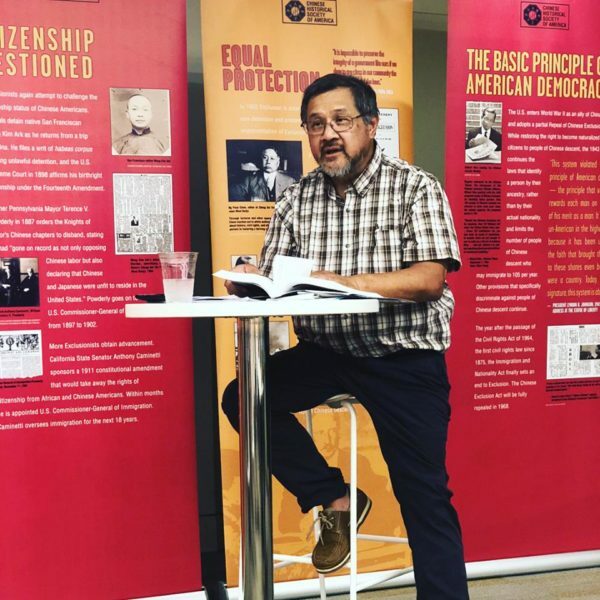 The next Talk Story will be held on the anniversary of the repeal of the Chinese Exclusion Act on December 18.